Sometime our education and knowledge make us to focus and look out for a specific things. If given a problem, we try to focus on a certain area and ignore the other. Here are very interesting fun brain teasers with answers that will show out our problem of thinking specific. In all these tricky brain teasers one has to find the mistakes in the given images. Some times our eyes can not process and see very obvious. Lets see how fast you can solve this easy brain teaser? So are you ready to take this challenge to find the mistake in picture puzzles? Answers to these puzzles are not provided as of now. Its always interesting to read the comments of the visitors and their answers. 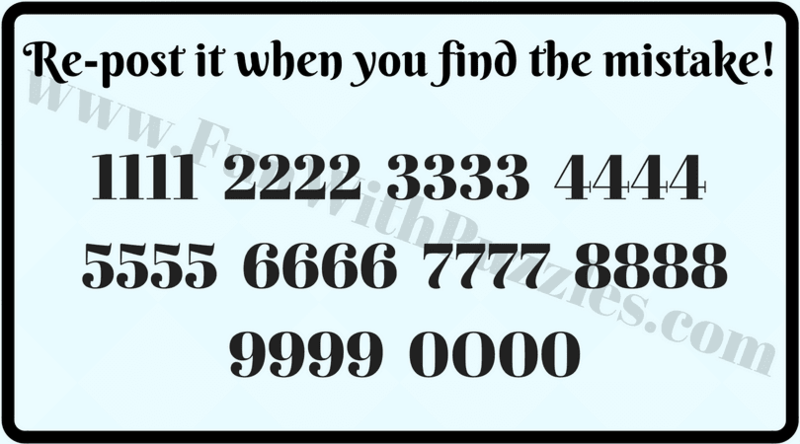 However if you are looking for the answer of any of these puzzles, please do post your request in the comment section of this post. You have great observation skill in case you solved above puzzle in your first try. You should test your observation by solving these tough Picture Puzzles for Genius Minds. Proceed to next one if you are able to find mistake in the previous puzzle. Next one is not very difficult. This puzzle being very easy one even kids will not take much time to solve it. 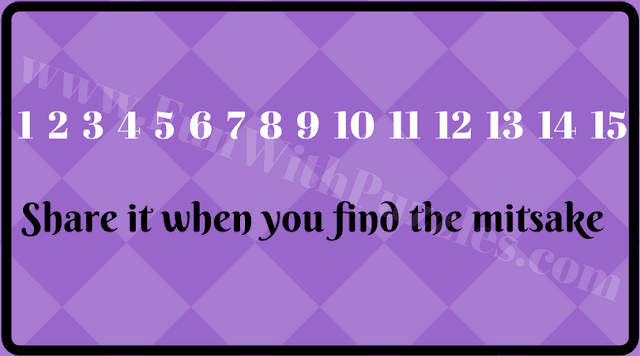 Lets see how many time you will take to solve this puzzle? 2. Can You Find the Mistake in this picture? This 2nd Puzzle was test of your reading skills. If you solved it correctly, do try to take more reading challenges. Next one is again tricky brain teaser of finding mistake in the picture which may twist your mind and will keep you thinking for sometime. Lets see how quickly you can solve this one? 3. Can you find the the mistake in this Image? This previous puzzle was test of your skills to find something wrong or odd from the group. 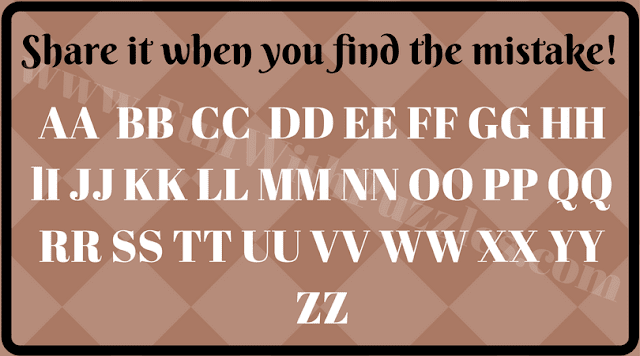 If you are able to solve it correctly, then you should try out Finding the Odd One Out Puzzles. 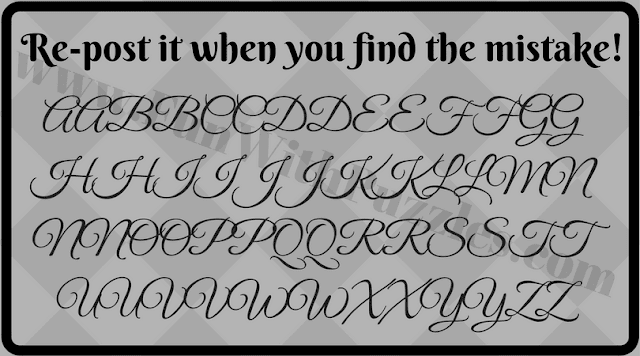 If you are able to find the mistakes in the previous puzzles, then next one is going to be easy for you. However in the next puzzle it is tricky to find the mistake. Some people will be able to find the mistake in the below picture immediately, but some people will struggle to find any mistake in this image. Lets see how much time will you take to find mistake in this puzzle? 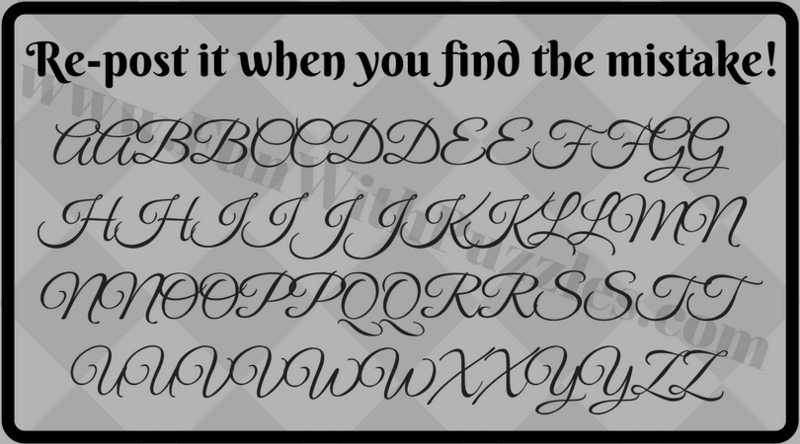 Previous finding the mistake puzzle was easy one. If you liked it try out more such Finding the mistake puzzles. Next one is very tough. 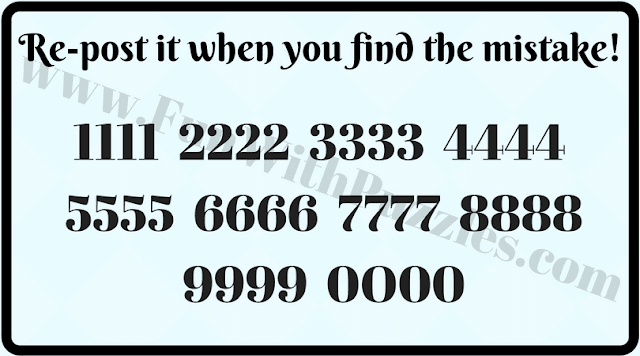 If you are able to solve all of the previous puzzles, then only try this puzzle, because one will need eagle eye to find the mistake in this picture. However if you have solve the previous puzzles easily then this one also should not be very tough for you :). Lets try if you can solve it as quickly as other puzzle? Last Puzzle was hard one. If you are able to solve three puzzles out of given five puzzles, then you have great IQ and your observation skills are very good. Do try some more similar finding mistake picture puzzles. 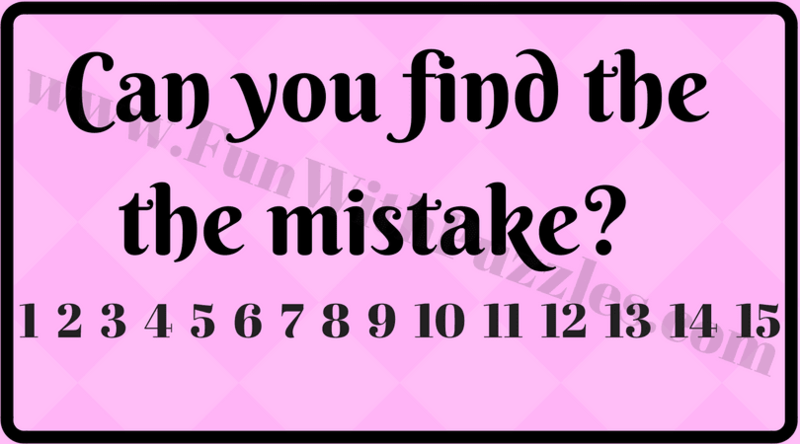 These finding the mistake puzzles test your observational skills. Here are more picture puzzles, as mentioned below which will test your visual skills. Non Verbal Reasoning Test with Answers : These are very interesting Non Verbal Picture Puzzles which will not only test your observational skills but also your logical reasoning. Intelligent Reading Puzzles to Twist your brain : It contains the reading test in which your challenge is to read the given text in your first attempt. Finding Hidden Objects Brain Teasers for Adults with Answers : It is another observational puzzle type in which your challenge is to find the hidden objects in the given picture puzzles. Interesting Brain Teasers to Challenge your Mind : Last set of puzzles contains mix set of Maths, Logic and Visual puzzles to challenge your mind. the spelling of mistake is wrng in this picture.. The word mitsake is obviously a clear mistake after all.. the word spelled incorrectly..
And 0o00 for the 5.
is for pic 3 is it the f?